One thing that became immediately clear to the jury members as we began to delve into the CaSFFA program was that this was to be a year of exemplary performances by women. Whether it was Aňa Geislerová trying to protect her daughter from folkloric frights in Opening Night film The Noonday Witch (Polednice), to Barbora Štikarová beating the boys at their own game in In Your Dreams! (Ani ve snu! ), to the wily and brave Martha Issová saving her brothers from fairy-tale peril in The Seven Ravens (Sedem zhavranelých bratov), the women characters and the actresses who played them that we met on our viewing journey were immediately of a striking high standard. But there was one film that had a performance that topped every other that we viewed, male or female: Emília Vášáryová in Eva Nova (Eva Nová). CaSFFA viewers are no strangers to the work of Emília Vášáryová. 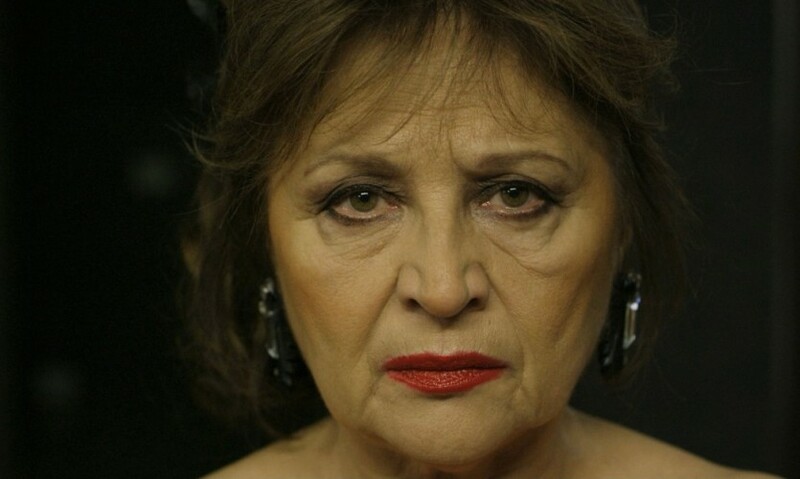 She is the First Lady of Slovak cinema, with a career stretching back to the 1960s, a history that she allowed to be echoed in Eva Nova in her portrayal of an alcoholic, once-famous actress, desperately trying to stay sober and reconnect with her family, primarily her son who is clearly extremely damaged by his mother’s lifetime of illness and addiction. A beautiful observational drama that never passes judgment on its characters, while at the same time never demanding that the audience forgive them for their faults. It simply shows these characters for what they are – human beings – and allows us to think, and feel, for ourselves. In a film that is overflowing with wonderful performances, Emília Vášáryová was captivating in her ferocious performance of a woman struggling to accept the consequences of her addictions, and that the son she neglected is more broken than she ever guessed. Director Marko Škop is to be highly commended for never letting the emotion of the film spiral into overwrought sentimentality: the characters and their lives, choices and feelings are treated with respect, dignity, yet also with unflinching honesty, and the quiet way in which they play out has extraordinary power. As an actress playing an actress, Emília Vášáryová had the difficult job of making us believe that not only was she once a famous star, but that her downfall was not merely a performance. Demonstrating the spiralling, generational effects of addiction and neglect, Marko Škop’s film was an eye-opening look at the Czech and Slovak region. When coupled with other films in the competition such as The Seven Ravens, The Noonday Witch and Through the Eyes of the Photographer, the strength and resilience of women from this part of the world were on full display and was without a doubt the highlight of the festival’s competition line-up. We are very proud to award Eva Nova, directed by Marko Škop, the award for this year’s Best Feature Film at the 2016 Czech & Slovak Film Festival. Tom Clift, Hayley Inch and Glenn Dunks formed the inaugural Australian Film Critics Association jury at #CaSFFA2016.